Our group is made up of Amazon moms, dads, families and individuals. We are dedicated to helping Amazon sellers make the best decisions for their business. 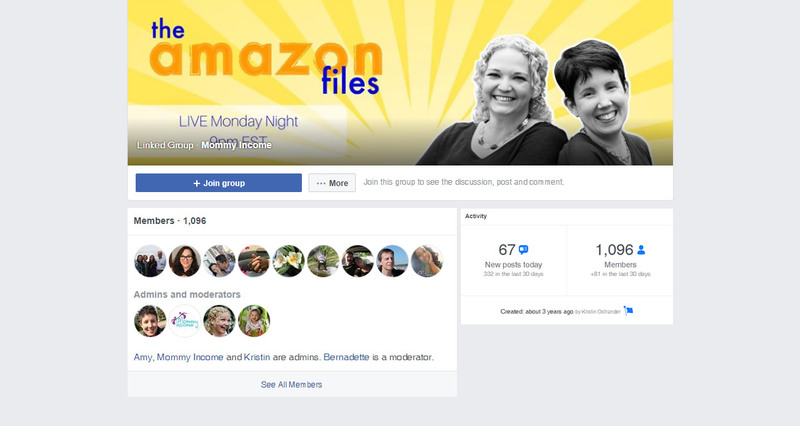 We host The AZ Files Show (www.theazfiles.com) each week to help you along your Amazon FBA journey. We also have many courses, resources, group coaching sessions and mentorship packages to serve your needs. You can learn more at www.mommyincome.com. Our group requires a few answers to specific questions in order to participate. When requesting to join, please have your answers ready. If you need a code word, head over to our youtube channel and check out one of our videos. www.mommyincome.com/channel. We don't have wiki content for Mommy Income ( Facebook Group ) yet. Are you familiar with Mommy Income ( Facebook Group )? Please quickly share in your own words what Mommy Income ( Facebook Group ) is all about! Share in your own words what Mommy Income ( Facebook Group ) is all about.